Sunday’s 75th edition of the Monaco Grand Prix was another feast of Formula 1 action, and Australia’s Ferrari fans were delighted to see the team break a 16-year drought. 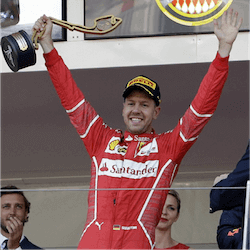 Sebastian Vettel’s win was the first for the Scuderia on Monaco’s famed street circuit since 2001, and the win also extended the German’s lead in the 2017 F1 drivers’ championship. Vettel started the Monaco Grand Prix second on the grid, already six points ahead of nearest rival Lewis Hamilton. After disastrous qualifiers, the British driver started 14th on the grid in his Mercedes, but he managed to claw his way up to seventh by the end of the race. Vettel’s teammate, Kimi Raikkonen, did much better in the qualifying rounds, taking him to pole position and an unusual record. The last time Raikkonen started a F1 grand prix at the front of the grid was in the 2008 French Grand Prix, so on Sunday he broke Giancarlo Fisichella’s record for the longest time between pole-position starts. Vettel overtook Raikkinen early at Monaco, but the Finn clung doggedly to second place for the rest of the race, giving Ferrari their first 1-2 finish of the season. With Hamilton’s teammate Valtteri Bottas finishing fourth, Ferrari have reclaimed the top spot in the constructors’ championship. They now lead Mercedes by 196 points to 179. Vettel’s win, combined with Hamilton’s relatively poor showing, puts the German driver even further ahead in the drivers’ championship. Vettel now has 129 points, and Hamilton 104. Bottas is third on 75, with Raikkonen fourth on 67. But a sight to gladden the hearts of Australian motorsport fans is Daniel Ricciardo in fifth place, on 53 points. After starting fifth on Sunday’s grid, the Red Bull-Tag Heuer driver managed to finish in third place, less than a second behind Raikkonen. It was a repeat of his placing in the Spanish Grand Prix two weeks ago, so if the technical problems that have plagued him and Dutch teammate Max Verstappen are now behind them, we can expect them to keep challenging the top four in the remaining 14 races of the season. Verstappen finished fifth in Monaco, and currently has 45 points on the ladder. 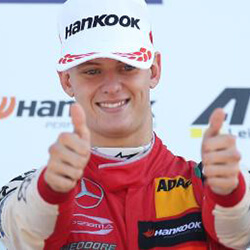 Mick Schumacher, making his first foray into the world of Formula 1, proved he has his father’s skill for driving after setting the second fastest time at the official Bahrain …. Lewis Hamilton took the victory at the Bahrain Grand Prix after an engine malfunction forced runaway leader Charles Leclerc to lose momentum in his Ferrari late into the race. Leclerc …. 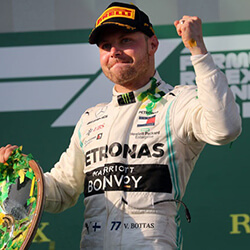 Valtteri Bottas has won the season opening Australian Grand Prix after he overtook world champion teammate Lewis Hamilton. The Finnish driver too the lead position at the start of the …. 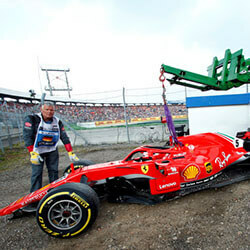 Sebastian Vettel crashed his vehicle during the second day of the final ore-season testing that took place in Barcelona, severely setting the team back in a time where every day …. 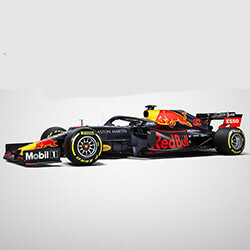 Red Bull has announced their first Honda-powered car that is set to take on the 2019 season, and its initial laps will be driven at Silverstone by Max Verstappen. 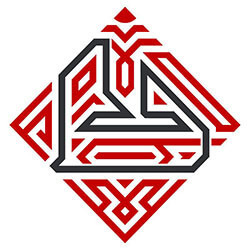 The ….